Home Blog Facts About Chandeliers: a Chandelier Entering Guinness Book! Facts About Chandeliers: a Chandelier Entering Guinness Book! Have you ever think about the origin of chandeliers, how and why it exists? Chandeliers are found in every house and every building now and they are so common and adorable among people. However, the chandeliers you see nowadays didn’t exist in this shape or style previously. So, let’s see some facts about chandeliers you may don’t know. 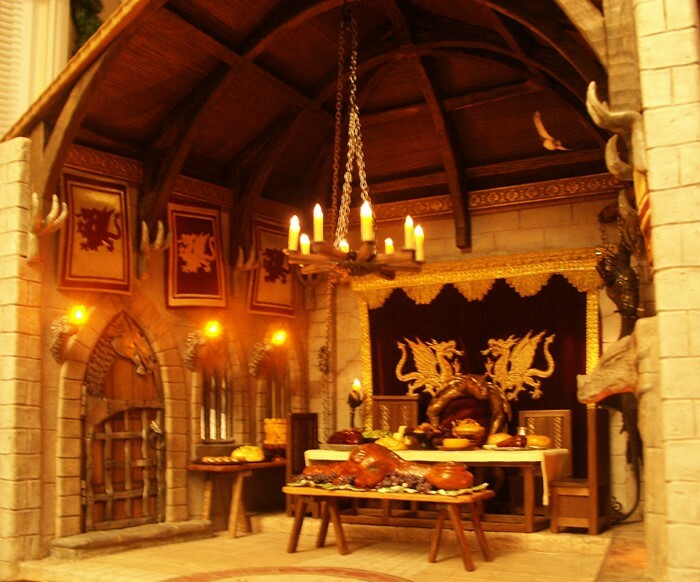 1- Chandeliers originated in medieval times. Chandeliers were found far in the past before the invention of electricity. If you go back to the 14th century, candles were used in chandeliers instead of bulbs and they were only owned by the high classes as a symbol of wealth. At that time rich people used to own slaves that were responsible for lighting up candles and switching them off all candles every day. So, chandeliers were dangerous, owned only by rich people and used mainly as a piece of decoration and source of light. Whenever you hear the word crystal the first thing that comes to your mind is crystal, but do you know that chandeliers weren’t made of crystal?! 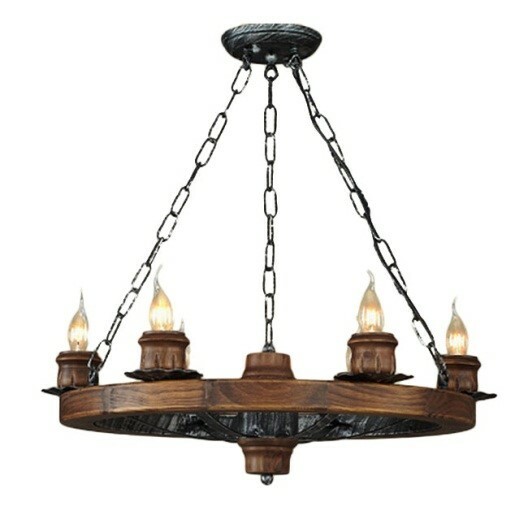 The earlier chandeliers were mainly made from wood, iron, brass or other cheap materials. Some people, who can’t afford to buy one, they were handmade it from any available materials they have in order to illuminate their houses. The crystal chandeliers you see nowadays were invented when people discovered that light could be reflected through glass and crystal throughout the room. After the invention of crystal chandeliers, people, mainly wealthy one, started to manufacture different types and styles of chandeliers. In the UK, there are chandeliers that you can’t imagine how big they are. This phenomenon has spread all over the world to the extent that Guinness book has recorded a chandelier as the largest chandelier in the world! 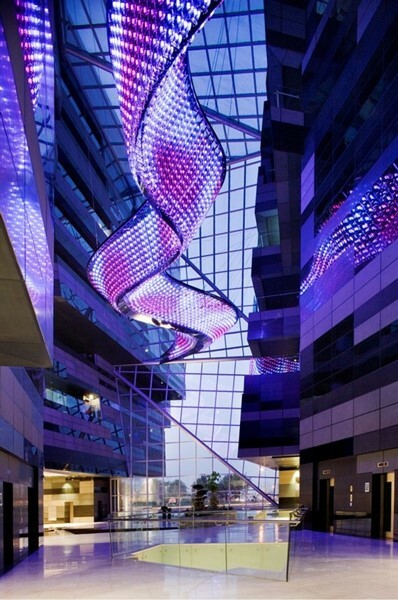 This chandelier is called “Reflective Flow” which consists of 165,000 LED lights and situated in Al Hitmi office building in Doha, Qatar.